Notably absent from that list is progressive epic doom metal. And yet—the two members of Miami’s Cave of Swimmers call the 305 area code home, although band members GE Perez and Toro are Venezuelan by birth. In an already watershed year for doom, the pair’s upcoming self-released EP, Reflection stands out on account of the breadth of melody and sounds it plays with, hence why I’ve chosen to premiere it today. Opening song “The Prince of the Power of the Air” serves as a showcase for their style. What begins as a bright take on Solitude Aeternus-style doom metamorphosis quickly, as snaere hits fall just a bit early or late, hinting at jazzy underpinnings that come to bear in the track’s second half, which features, among other things, an extended Latin percussion break. Later songs on the EP display a similar willingness to toss off convention. A Moog synth pedal and hints of Spanish opera color between the lines of “The Skull,” for example. In other hands this material would probably rest in well-worn Sabbath worship territory. 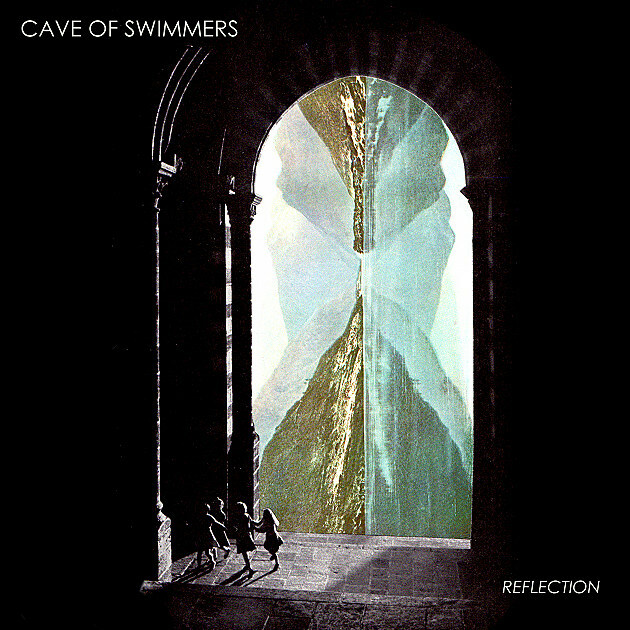 Cave of Swimmers remember that at their peak, Iommi and crew grooved slow and low in between flirtations with exotic drum patterns and then state-of-the-art electronica. In a way their open-minded and technicolor take on the genre is reminiscent of both the textured minimalism of Wild Hunt and the Italian horror synth paeans of the most recent Tribulation record. The bottom line is, when it comes to Miami exports, Reflection falls more closer to the Michael Mann film side of the scale than the “Calle Ocho” side. I’m not divulging where the Bangbus falls. Reflection drops on May 4, and you can pre-order it at their Bandcamp. Follow Cave of Swimmers on Facebook, or as @CaveOfSwimmers on Twitter.